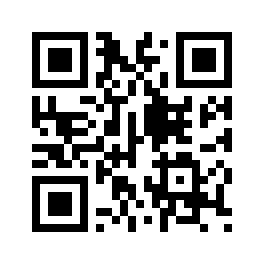 I have been a bit remiss with the newsletters this year. Apologies for that, but now we're all caught up. February was an amazingly productive month, and at the end of it I had some great news - a Spanish mobile content provider wants to licence some of my videos, and are actually prepared to pay an annual fee upfront. So that's pretty cool. And next month, March, I'll be investing in new cameras and a stonkingly powerful PC with 2 monitors because Keef Cooks is going 4K! Virtually every country in the world has its own version of the pancake. 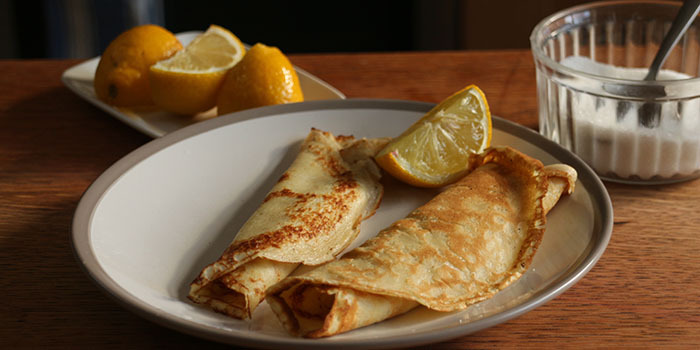 This recipe shows you how to make British pancakes, traditionally eaten on Pancake Day (Shrove Tuesday). British pancakes are thin, with a crispy, lacy edge to them, unlike their thicker and stodgier American cousins. Quick, easy and cheap, they deserve to be eaten more than once a year! 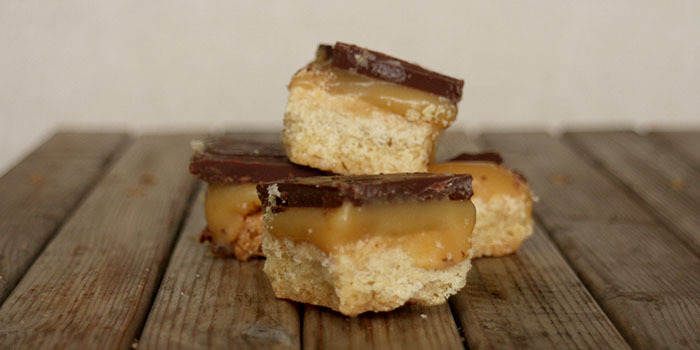 Although shortbread originated in Scotland as early as the 16th Century, millionaire's shortbread is much more recent. Nobody is really sure when or where millionaire's shortbread first appeared, but its first appearance in print was in the 1970s in Australian Woman's Weekly. 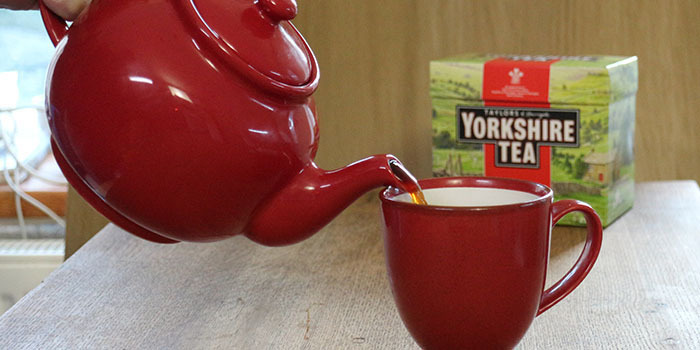 Wherever it came from, it is a rich, decadent and totally yummy treat. 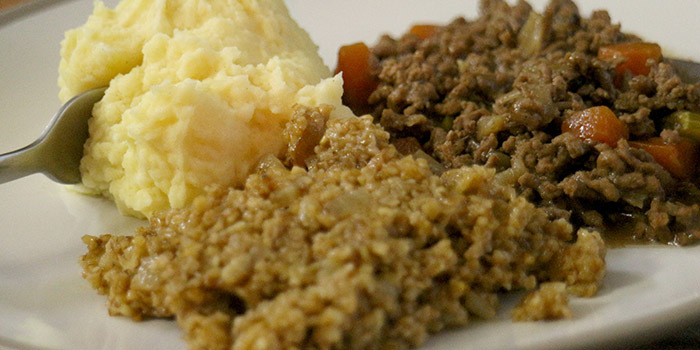 You've probably heard of, or had, some version of mince and tatties. It's basically minced beef in a rich meaty gravy, served with creamy mashed potatoes. But unless you're Scottish, you might never have come across skirlie (I hadn't until recently), which is a shame, because it's a delicious side dish made from oats, and it's very easy to make. 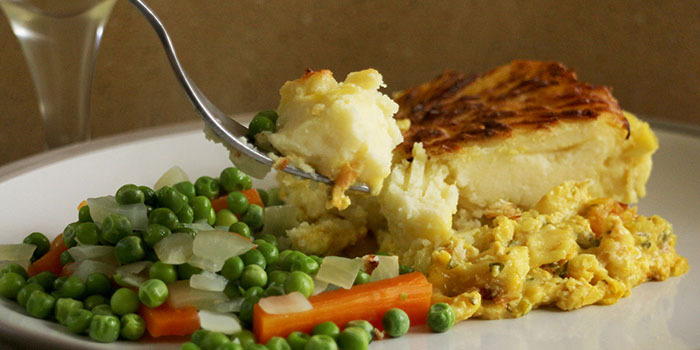 This is pure nostalgic comfort food. I had this at school at least once a week, but never actually knew what it was called. The first mention of it, as 'Manchester Pudding' is in Mrs Beeton's cookbook. 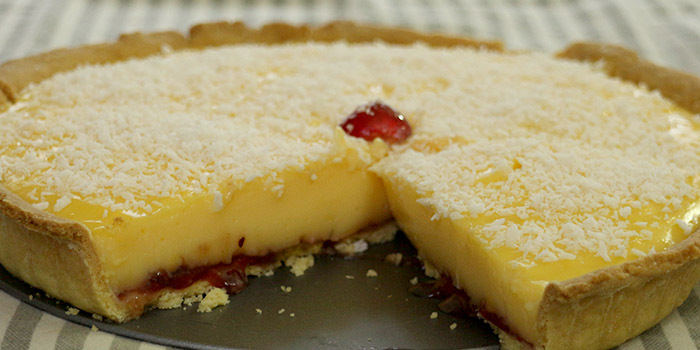 Sometimes it has sliced bananas in it, and if you're lucky, you get a cherry on the top too. 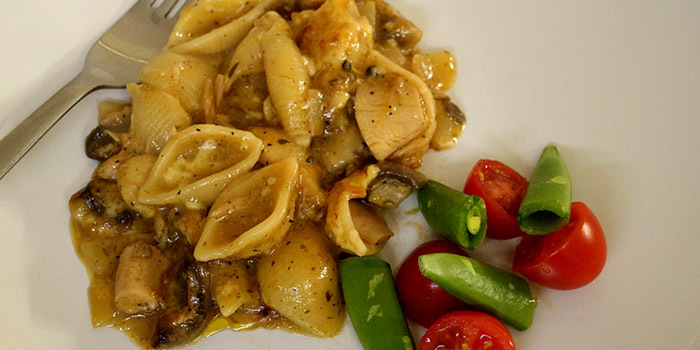 I think I got this recipe from the back of a packet of pasta shells - I've certainly never seen it on any menu or in any cookbook - but it seems that lots of people do something similar, so I thought it was worth putting my version out there. I had a request from She Pisces to make a Strawberry Pavlova for Valentine's Day. And also to dye my hair, beard and moustache pink. Ever willing to oblige, I declined to do either of those things. 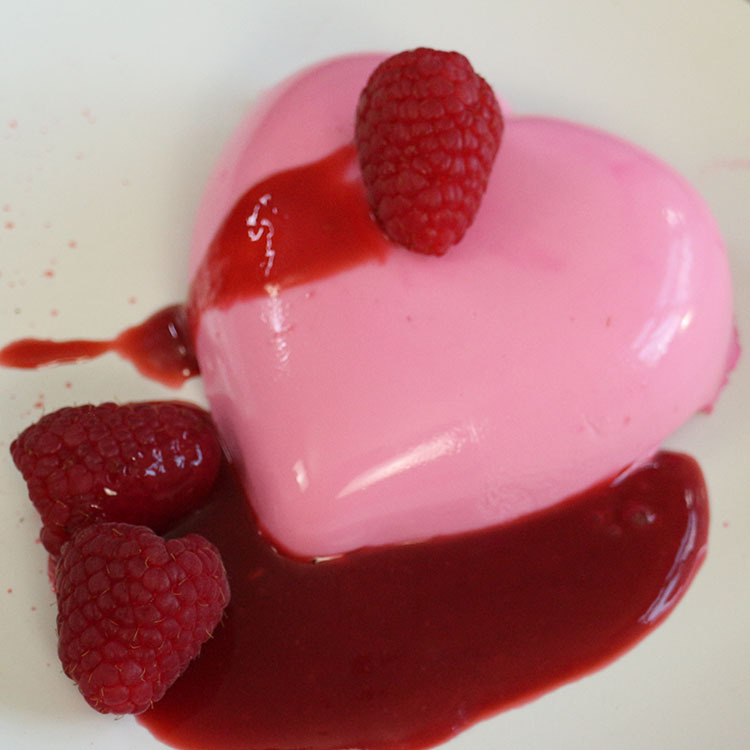 Instead I made a heart-shapped pana cotta, and through the magic of technology made my hair look pink. It worked pretty well, I think.